Local SEO (search engine optimization) is the practice of improving your online presence to attract local customers to your brick-and-mortar business, and to succeed in your community, small businesses should learn basic local SEO practices. 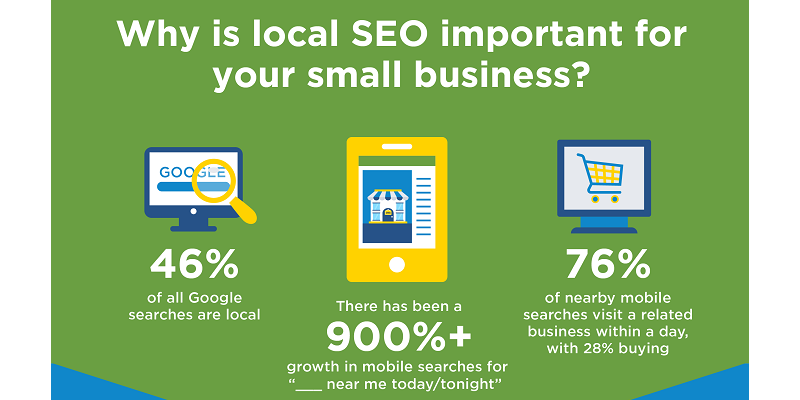 SCORE’s latest infographic shows why and how small businesses can use local SEO techniques to gain more customers. Why is local SEO important for your small business? How can you improve your local SEO? 1. Include your name, address and phone number (NAP) on your website, directories, social media, etc. 2. Claim your free business listings in directories. Many businesses do not claim these. Work with a SCORE mentor to help improve your local marketing strategy.